Recent reports are showing that certain Huawei users are being given Pokémon GO bans, without a chance for appeal. Various legitimate users have been banned from the mobile game. It’s not clear why this is happening, but it was noticed that it’s only happening to Huawei users that use of the Game Suite. Huawei is a Chinese multinational networking, telecommunications equipment, and services company headquartered in Shenzhen, Guangdong. Like smartphones, for example. While primarily in China, they also offer and operate in the United States. Game Suite is the company’s “game center” where users can quickly access all of the games on their phone in an organized manner. The issue was initially reported regarding Niantic’s other game, Ingress. Given the similar infrastructure between the games, many are concerned that Pokémon GO may also be under the same risk. Currently, it’s recommended that anyone with Huawei using Game Suite to play their Niantic-made games should stop doing so, and run the game manually on their devices. 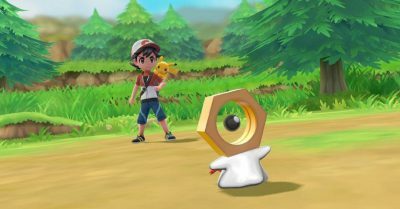 The last few days have been heated with discussion over a new Pokémon leak. Now.. In commemoration of the upcoming Pokémon game, Nintendo and The Pokémon Compan..